Fifteen-year-old Hadara is sure her tedious religious schooling will never end. She’d rather be out beyond Port Sapphire’s borders with her mother, gathering medicinal herbs even though they’re contraband. She’s skeptical of the Temple of Doubt, which teaches that only magic — and never nature — can be trusted. Then the Temple sends two of its mightiest mages to Hadara’s city to find a meteorite that crashed somewhere in the swamps outside of town. They suspect it harbors a demon come to war on their god, Nihil, and that it’s searching for a body to possess. When Hadara is chosen as a guide into the wilds, it will lead her to an encounter that will upend everything she’s been taught about the sacred and the profane. "In a society where going against the grain can bring shame, punishment, and even death, being different is dangerous. But Hadara's differences are what make her special and Hadara's struggles to defend her family, her world, and her soul against the Temple's meddling make for a gripping adventure. The Temple of Doubt's inventive and richly realized world will have readers immersed from the start and eager for the sequel." "The Temple of Doubt fascinated me. With a determined heroine who forges her own path, intricate worldbuilding, and a tantalizing plot that hints at more intriguing revelations to come, Anne Boles Levy shows herself to be a promising new writer. I can't wait to see where Hadara's journey takes her next." "A thrilling fantasy introducing an exceptional new heroine whose fearless challenges to authority and adventurous spirit could make or break her entire world. The Temple of Doubt captivates page after page, twist after twist. Clever Hadara is in danger from all sides, from the invading army, the compelling soldier Valeo who tears her city apart, and the secretive and devious Azwans who sacrifice innocents to serve their powerful god. Yet something more powerful than these has fallen from the sky – something alien and shining that is meant only for her." "Hadara may think of herself as a bad student and a wavering believer, but in truth, she is brave, strong, and often hilarious as she struggles to protect her family and find a place for herself within a culture that devalues her. Levy has a knack for exposing the ridiculousness of rigid belief while highlighting the real power that doubt has to transform a society." "Fiercely original with a capable and plucky heroine, THE TEMPLE OF DOUBT rips open a door to a fresh new fantasy world. With a gorgeously written narrative and its intricate world building, fantasy readers are in for a treat. Hadara is a compelling heroine whose misadventures and missteps will only make you love her more." "What a wonderful heroine and wonderful world Anne Boles Levy has given us in this beautiful debut novel—one I certainly wish had been around when my daughters were young. They’d have fallen in love with Hadara as much as I have. Can’t wait for Book II!" 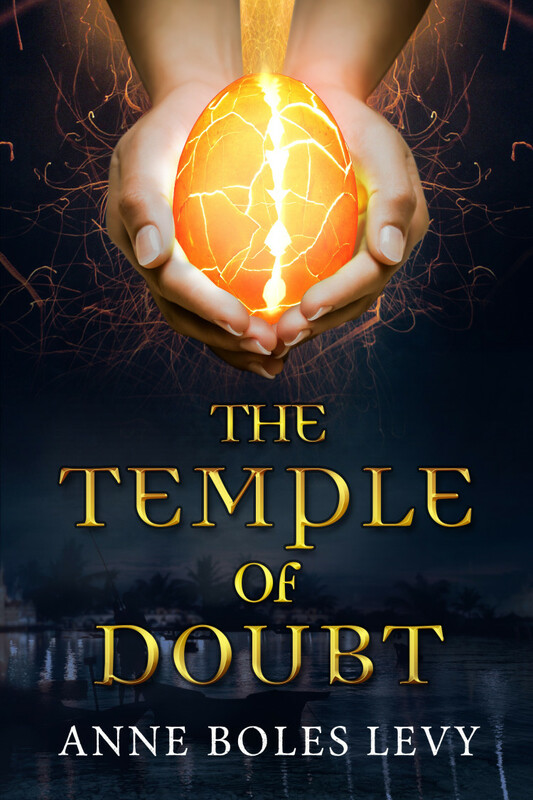 "TEMPLE OF DOUBT launches a powerful new voice in teen fantasy fiction. Anne Boles Levy brings serious game with her first novel. Expect great things!" Friends don’t let friends sign alone. Come out and keep me company on one of my stops around Arizona. I’ll read and sign and answer questions, and you just be your awesome, book-reading self. Deal? © 2019 Anne Boles Levy. All rights reserved.